To reduce your cost, Brandsport offers this item in Bulk (sold here individually). Gorilla also lists this same item in 4-piece sets as Display Package # 41137HT and Bag # 41137HTB. Precise seating surface means an exact fit. Hardened steel construction manufactured under tight quality controls. Long lasting triple chrome plated finish. 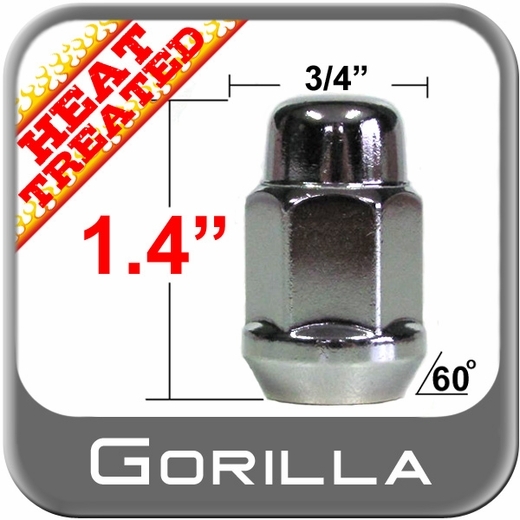 Enhance your wheels with a new set of Gorilla lug nuts. 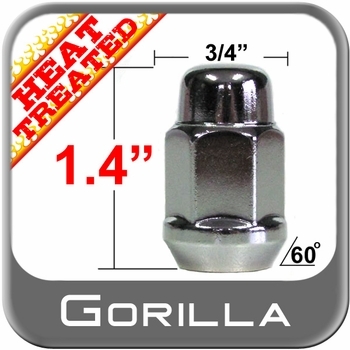 These are very well made Lug nuts. One piece chrome plated. Not steel with a chrome cap. Excellent. Super quick service and easy to find the right lug nuts. The well diameter on my custom wheels is too small to use stock nuts available at my local shop and still fit a standard tire iron so I needed to find an exact replacement with 3/4 or 19mm hex head. I found just the right ones among the wide selection available here.